Micromax's Yu Televentures is expected to reveal the successor to the Yu Yureka Plus smartphone soon, if new benchmark and import/ export website listings of the handset are to be believed. The Indian import/ export site, Zauba, lists a new Yu handset as shipped on March 21 with model number Yu5200. The smartphones were shipped from China, and had a declared value of Rs. 9,036 each. To be noted is that import/ export website price listings are only declared values, and usually are not accurate reflections of actual market price. 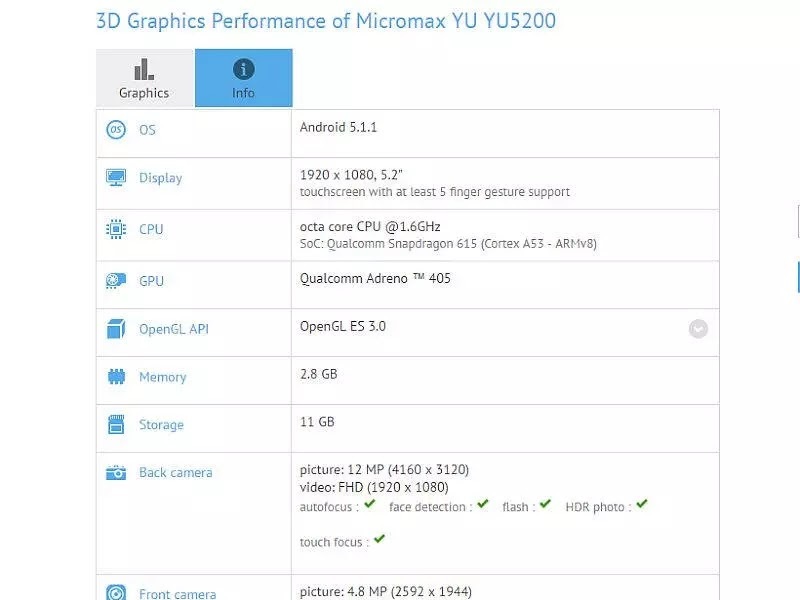 In addition to Zauba (via FoneArena), the Yu5200 has been also spotted on GFX Bench with details on innards. According to the GFX Bench listings, the Yu5200 features a 5.2-inch full-HD (1080x1920 pixels) display; an octa-core Qualcomm Snapdragon 615 processor; Adreno 405; 3GB of RAM; 16GB storage; a 13-megapixel with LED flash, and a 5-megapixel front camera. 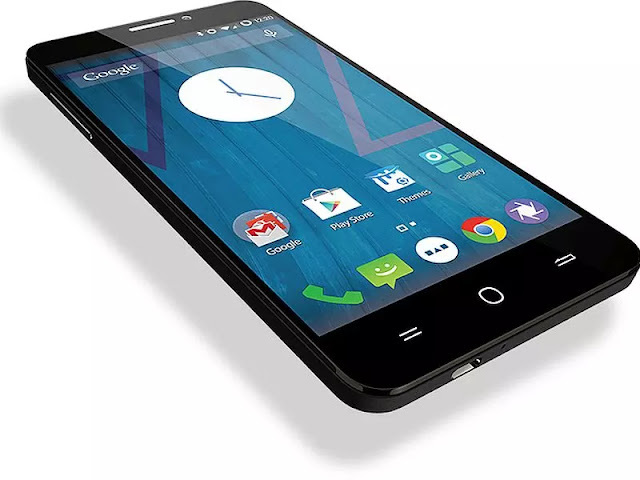 Micromax's subsidiary Yu launched its last smartphone in December as Yu Yutopia. Yu's flagship Yu Yutopia smartphone came equipped with top-of-the-line hardware specifications at a price tag of Rs. 24,999. Some of the highlights of the handset include an aircraft-grade aluminium build; a Qualcomm Snapdragon 810 SoC; a 5.2-inch QHD (1440x2560 pixels) Sharp OGS TP OGS display with a 565 ppi pixel density, and Sony-made 21-megapixel rear camera. The other highlight of the handset was the onboard fingerprint sensor, which could also be used to take selfies. Last month, Yu Televentures started rolling out an over-the-air (OTA) software update for its Yu Yutopia. The update brought a few security-focused changes to the smartphone.